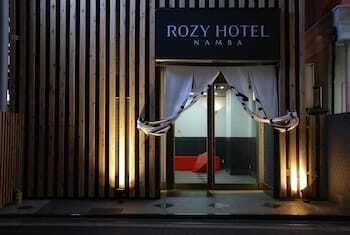 Located in Osaka (Namba), ROZY HOTEL NAMBA is within a 10-minute drive of Osaka Science Museum and Shinsaibashi Shopping Arcade. The front desk is staffed during limited hours. With a stay at Kyukamura Tateyama in Tateyama, you'll be just steps from Cape Sunosaki and Hasama Beach. The front desk is staffed during limited hours. Free self parking is available onsite. With a stay at Fujimiya in Toyooka (Kinosaki Onsen), you'll be a 4-minute drive from Kinosaki Onsen Ropeway and 8 minutes from Hachigoro's Tojima Wetland. Free self parking is available onsite. With a stay at Hotel Schonvert in Iga, you'll be 8.1 mi (13 km) from River Park Mami and 8.9 mi (14.4 km) from Omura Shrine. With a stay at Otsuka City Hotel in Tokyo (Toshima), you'll be within a 15-minute drive of Tokyo Dome and Imperial Palace Garden. The front desk is staffed during limited hours. With a stay at Futarishizuka Hakuun in Takayama (Hida Takayama Onsen), you'll be steps from Shorenji Temple and 6 minutes by foot from Takumikan Craft Museum. Free self parking is available onsite.